Join us as we help celebrate First Look Summer 2015! 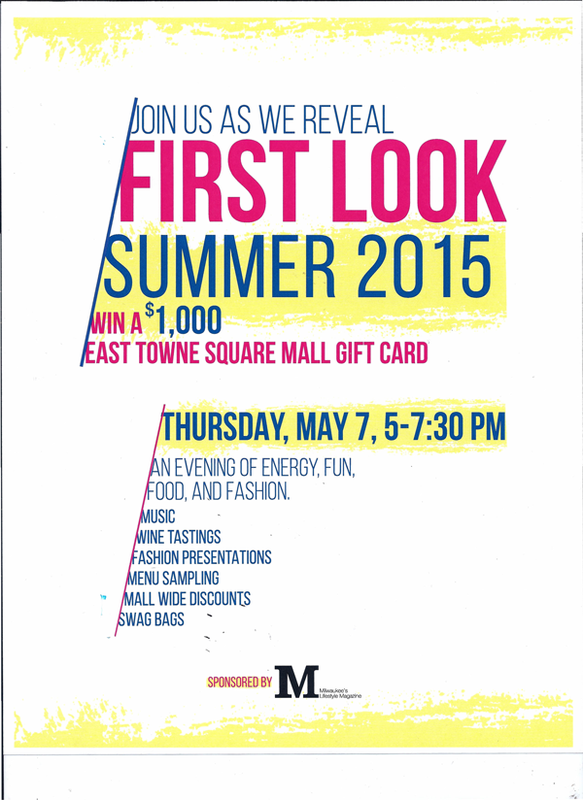 East Towne Square will be hosting an evening of energy, fun, food, and fashion on Thursday, May 7, from 5-7:30 p.m. The event is sponsored by M Magazine. You may even find treats from East Towne Jewelers in the swag bags! Come join in the fun.